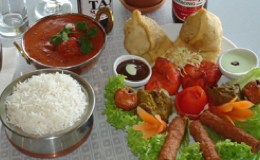 Indian food is characterized by exact combinations of spices and flavours. Generally the cooking method is to saute and simmer the dishes or curries over low heat. 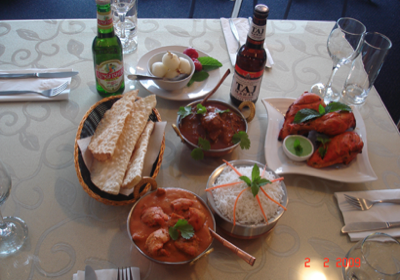 Tandoori cooking has popularized the oven-clay method which has produced the now familiar tandoori chicken and naan bread. Regardless of region, spices are key ingredients. These are derived from the roots, buds, seeds, fruits and dried bark of plants, all of which produce exotic aromas and flavours when heated. Indians too, are mindful of the healing properties of many of the spices used in their food.